Basil does not have a lock on pesto. Pesto can be made with any number of herbs, nuts and green vegetables. 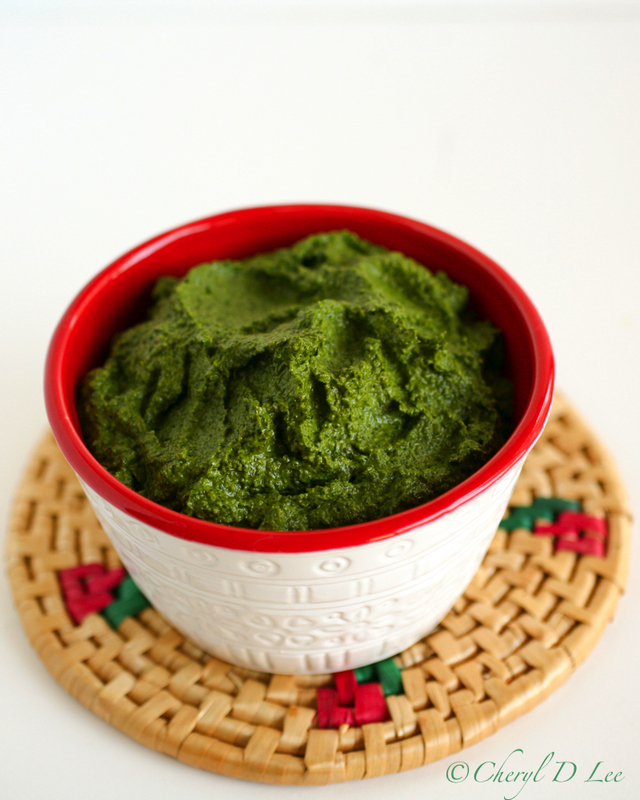 In this case, cilantro and pepitas (pumpkin seeds) take the lead in this Cilantro Pesto Sauce. While the flavor profile of this pesto is very different than basil pesto, it can be used in many of the same ways. Tossed with pasta, smeared on sandwich wrap instead of mayo, mixed with tomato sauce to make pizza sauce are just a few ideas. A dollop or two in a basic vinaigrette would really make your salad dressing pop. A spoonful stirred into a bowl of soup would be sublime. If you cannot find pepitas in your market, substitute with slivered almonds. Be sure to toast the almonds to release the oils and nutty flavor. Place the cilantro, garlic and pumpkin seeds into a large food processor, and process until smooth. With the machine running, slowly drizzle in the olive oil, stopping and scraping down the sides of the processor bowl if needed. Add the salt, red pepper and lime juice and mix to incorporate. Place the pesto into a storage container and press plastic wrap directly onto the surface of the pesto before closing tightly.